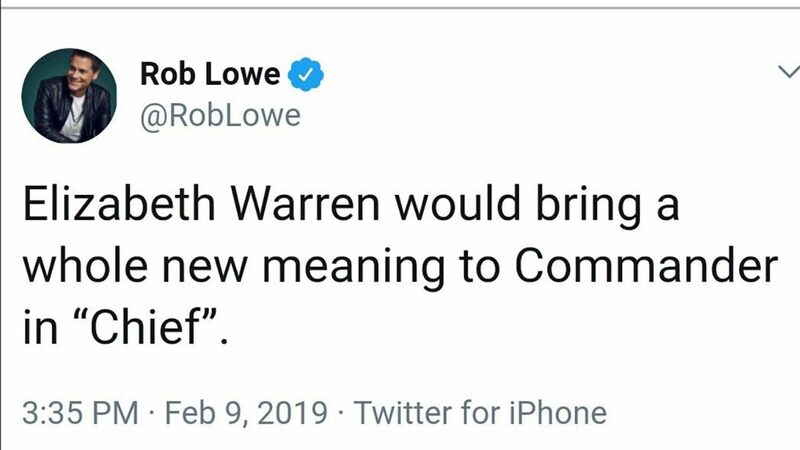 “Elizabeth Warren would bring a whole new meaning to Commander in ‘Chief,’” Lowe wrote in the now-deleted post, in an apparent reference to the controversy over Warren’s claims of Native American heritage. The actor’s tweet was in response to Warren officially launching her 2020 presidential campaign with a kickoff event in Lawrence, Mass. Actor Rob Lowe was skewered on social media because of a now-deleted tweet in which he said Sen. Elizabeth Warren (Mass.) “would bring a whole new meaning to Commander in ‘Chief’ ” — a jab at the Democratic senator for claiming to be Native American. The actor was skewered on social media by fans and celebrities alike, ultimately making the decision to delete the tweet. “I deleted my Elizabeth Warren tweet. It was a joke and some peeps got upset, and that’s never my intention. On the GOOD side: I just got to use the Oxford comma!” he tweeted. He later tweeted: “Observation: many polarizing politicians actually LIKE each other, privately help each other, then publicly stir the pot, playing for votes. That’s fine. Only thing wrong with it is when we buy it whole cloth, breeding intolerance, anger and total inability to laugh at ANYTHING,” the actor tweeted. Lowe was blasted by his fellow stars like Mark Hamill and Alyssa Milano, among celebs. “Tonight, the role of Scott Baio will be played by Rob Lowe,” Alyssa Milano posted. “Don’t. Jesus,” “Hot in Cleveland” star Valerie Bertinelli chimed in. 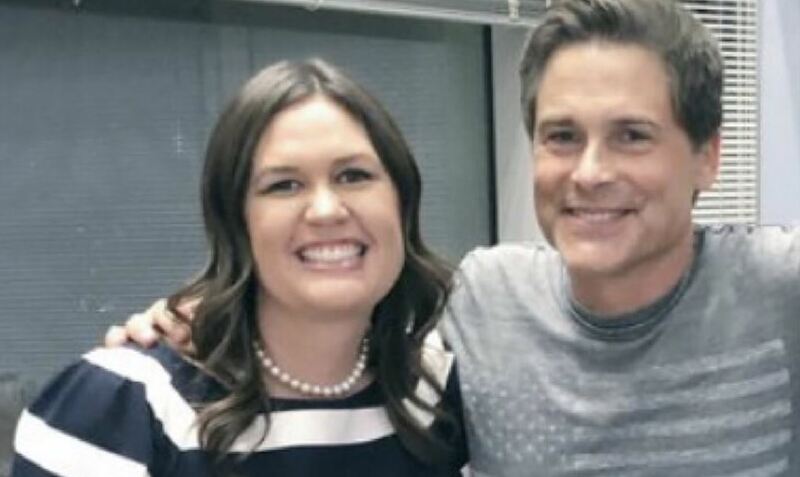 “Just when I was liking Rob Lowe after his moving comments about being his mom’s caretaker — he takes a page from Trump. Ick,” former NBC correspondent Soledad O’Brien wrote. “What a raw blow!” “Star Wars” star Mark Hamill wrote. Many saw Trump’s tweet, which was shared by his eldest son on Instagram, as a mockery of the Trail of Tears, the forced removal of Native Americans from their homeland under President Andrew Jackson.